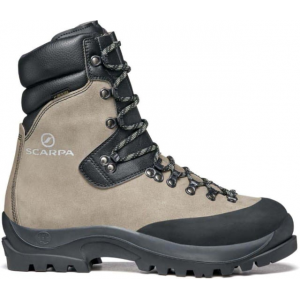 Scarpa Footwear Wrangell GTX Backpacking Boot Bronze 38 88004GBrnz38. ) or heavily laden work duty (think logging or hunting camp). Crosta 2.8mm Italian leather GORE-TEX for waterproofing a Vibram M4 Tech sole and our Pro-Flex XT insole -no problem for hundred-pound packs and brutal abuse on the feet. These are professional-grade mountain boots built by hand by the best artisans in the world. Inspiring really when you think about it. Sure we don't need a boot like this most days but when you dohere's the boot you want.